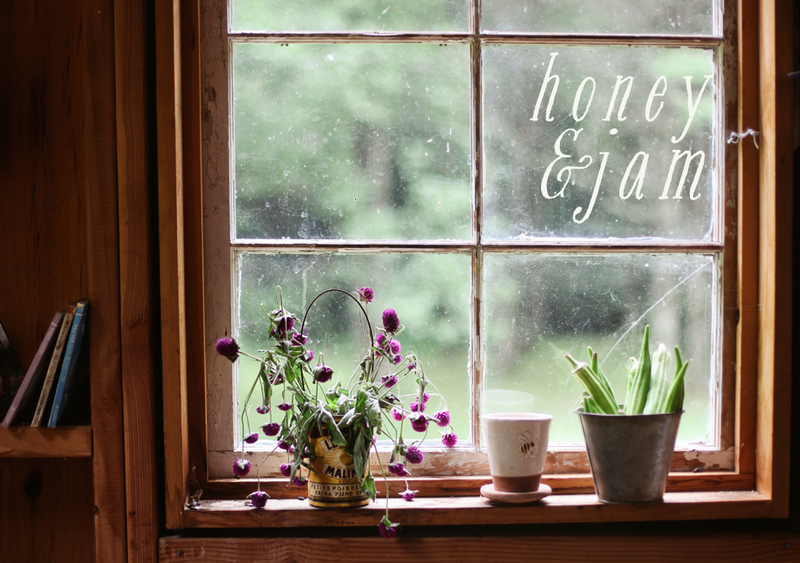 honey & jam | recipes + photos: A Giveaway! Greetings from the Florida! Yep, that’s right, I’m currently sitting on my balcony and listening to the waves crash into the beach. Sure, it’s pouring down rain, but how can I complain with a view like this? Right before I left for vacation I received The Bakers Catalog from King Arthur Flour. Oh my word, I could spend a fortune on that stuff! So, to celebrate my enjoying sandy beaches and warmer climes, I’m giving away one $40 gift card to King Arthur Flour to a lucky commenter that I’ll choose through random.org. Enter once by leaving a comment on this post telling me where you’d like to be right now and a way to contact you if you don't have a blog. 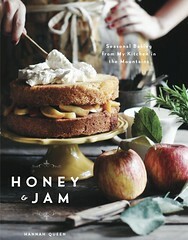 Enter a second time by twittering about the giveaway to @honeyandjam AND leaving a ANOTHER comment on this post. Enter another time by posting about this giveaway on your blog AND leaving ANOTHER comment on this post. No entires after 10 pm EST this Friday, September 18th. I’ll select one winner through random.org Saturday. I'd like to be in England right now. The sun has been killing me for these past 3 months in Phoenix, AZ! Your photos are gorgeous, by the way! By the way, its 100 degrees Fahrenheit and sunny right now. Autumn is nowhere to be seen. I love that first photo! I'd like to be camping on the beach in Washington State. Graciousness and Florida and KAF! Does life get any better? I've had a rough day, so I'd say anywhere but here. Maybe back in South Dakota's Black Hills where I was a few weeks ago with friends would be perfect for me right now. I would like to be in Edinburgh, Scotland. I have always wanted to be there. The cloudy, rainy sky outside telling my falls is coming makes me want to be there even more. I wish I'm in Paris right now. I've been having strong cravings for croissants and pastries! I'd rather be in Tepatitlan, Mexico (that's where I went for my first mission trip!). Right now, I would like to be in New York City with Charlie enjoying everything from the captivating skylines, the tasty cuisine, and the interesting people. Hope Florida isnt beating you with rain too badly, we just left. fun fact: I ate gator for the first time tonight. Where I'd like to be? Honestly, I want to fast forward two weeks to BlogHer Food and San Francisco - I'm getting a bit impatient! Hmmm...I'd love to be in the UK or that beach where you are looks great, too. Gorgeous photos, as always, Hannah. I wouldn't mind being right where you are! But if I had to pick, I'd want to be in Boston. Love that city! I'd love to be in Barcelona right now... on the beach. and i just blogged about it! I'd love to be cruising around the Greek isles. Awesome pics and thanks for the giveaway! Mexico! Nicaragua! Somewhere with water and sand (not New Jersey). I would love to be somewhere cooler than Florida that has fall color surrounding me. I would like to be in Sicily. I have always wanted to visit. My grandfather was born there. I would like to be in Vancouver right now volunteering in one of the organic farms. Does this apply giveaway apply to Asia? At this very moment I'd like to be in bed. I got up early and had a busy day! I'd love to be in eastern Tennessee right now--it's gotta be more Autumnish than here in Texas!! There's this spot in the Montmartre district of Paris where you can peak through the trees and overlook the whole of the city. It's as lovely and wonderful as it sounds. And that's where I'd like to be right this moment. Love your blog. :-) Thanks for sharing your pictures and recipes! I would love to be on the beach building a sand castle with my daughter! I would like to be...on the beach, in Cozumel. I'd be in Tacoma WA right now...my nephews are two and 9 months, and they're getting so big!! BTW, we have vacationed in Florida at least twice that I can remember. I think it's bee my favorite place to vacation so far. Right now, I would like to be at my parents' house in Mississippi, cuddled up with my kitty! I would like to be on a cruise ship - (not during hurricane season) - being served food, not dealing with car seats, beaches and sun! So that's where you are, dear! I would love to be in Palermo, Sicily right now. Honestly, I'd love to be in South India right now. The crazy heat of the summer is just starting to end, and it will be beautiful there for the next few months. Also, thanks for the great contest! Also, I tweeted about this over at @monkeykin. Just fyi! Enjoy Florida! I'd like to be in Southern Italy right now. They have amazing lemons the size of footballs there. You'd love them. I'd like to be in bed!! After working since 4:00am as a nurse, came home and started food prep for a wedding I am catering this weekend... I think bed is where I'd like to be!! I went to Chicago for the first time a few weeks ago. That is where I would like to be right now... permanently. Great giveaway. Did you enter mine, BTW? I thin you'll like it... Mine ends on Friday too.. I would like to be in Italy right now...omg..my dream place. I would like to be in the future, about five or six years. Ah, to know what the future holds for me. I love your site, keep up the good work!! Oh how fun! Enjoy your vacation on the beach!!! I would rather be home in Canada...with my husband of course...enjoying a REAL Autumn! I'd love to be home right now, despite the fact that it's in... New Jersey. I'd love to be in the US or Canada. Somewhere wild! I'd rather be in New England for the fall! I would probably rather be someplace quiet/peaceful. Like the country, or up in the mountains someplace. Sitting by a window and watching the rain or snow fall. Drinking hot cocoa, or coffee depending on you preference ;). Looks as if you are having fun there! Hey! Great giveaway..I'm not sure if it's open to non- US residents but im giving it a shot anyway.. I'd love to be in Greece right now..soaking up the beauty! I think it's one of the most beautiful places in the world! Honestly, anywhere. I want to travel everywhere and see everything. The good, the bad and the ugly. Seriously, anywhere would be great and with awesome people would make it better. By the way, you blog is amazing!! Somewhere warm and sunny with sand and water! Gosh I'd love to be in Japan right now. A friend of mine just came back from a two week trip with green tea kit kats and melon pocky. i would love to be back in europe. 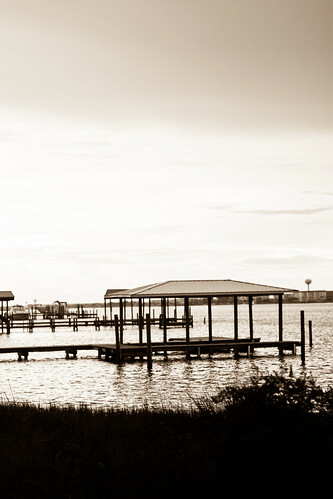 sometimes the south just breaks my heart with the lack of culture. but if i had to stay stateside, i would like to be somewhere colder. like alaska. I want to be in California. Great giveaway. I would love to be in Paris right now and eat some baguette. Doesn't Hawaii sound nice? Or with you in Florida would be cool too! I want to fly away to Paris! It would be so awesome! Chicago!! Can't wait to move back. I would love to be in Disney World having breakfast with Mickey. I heard of this contest from "Thicket Dweller." And I appreciate the simple things. At this point, I would love to be with my family right now, in Wauseon OH. I miss the dearly, but one must be a college study, ay? Actually, I would like to be at home in bed, followed by yoga, a long walk and then in the kitchen baking! Instead--work. I would love to be sleeping. I'm in my 2nd trimester, and sleep is fleeting. I'd love to be in a fluffy bed w/ lots of covers somewhere in another part of the world, preferably Australia or Italy or Greece, w/ my bf that I rarely get to spend good quality alone time with these days. i would love to be in italy! luck for me, i leave on sunday :) your pics are fabulous. I would love to be at the summer palace in Petergof just outside of St. Petersburg. The gardens look amazing during the fall with all the leaves turning. Plus I'm kind of in the mood for some deary rainy weather. I'd like to be back in the states with my family. Specifically at the St. Paul farmer's market in St. Paul, Minnesota checking out the first of the fall crops. 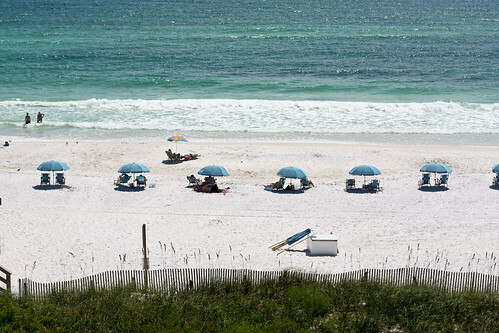 Those chairs and umbrellas look far too orderly to belong on a beach. I think I'd like to be in the English countryside, maybe near the sea--somewhere where I could walk around forever. I'm counting on the weather being nice, of course. Right now I would love to be in BED! I'd like to be at the beach, any beach. Anywhere away from school. The further away the better. I'm feeling Europe...Italy. You with? Currently I wish I were sitting in one of those cottages in Tahiti overlooking the crystal clear water and chilling with my husband. I appreciate where I am at this time, but if I had to choose then I'd choose Grace Cathedral in San Francisco. It's amazing how one can feel so at home there, even if just passing through. Oopsies... logged into a different email haha. I'm Claudia. I'd like to be in Lawrence, KS right now, with my mom. I tweeted about this also. I would love to be on a fabulous beach somewhere! Anywhere, besides my desk at work! I would be on Cape Cod...having a cocktail or 2 with my best friend...walking on the beach and shell hunting. I would rather be in CT right now with my best friend. at home in bed with a good book, or somewhere with a comfy chair and a fire to knit, Either way hot chocolate is a must. I would love to be in a hotel, doesn't matter where, able to sleep uninterrupted for 12 hours. As a relatively new mom, that would be pure luxury! Right now, I'd like to be on a beach somewhere that the water is crystal clear and enjoying a good book under a beach umbrella! I would love to be in the Smoky Mountains in TN right about now. It's my favorite place. I'd be happy just to not be at work. :) But Puerto Rico is on my list of places I'd love to see. I'd want to be in New Zealand right now :) The bf and I keep saying it'd be a neat place to go - kind of peaceful and relaxing, with the cutest fairy penguins ever! I'd love to be in Ho Chi Minh, Vietnam. I visited my mother's hometown and fell in love with affordable and delicious food. The street food was so amazing that I, as of yet, have not been able to find any place in the states to match what I experienced. Would give anything to be back there right now! If I could go anywhere, I'd go to Ireland. Someday, someday I'll make it there. Not without a great degree of effort extricating myself from Santa Fe I am precisely where I want to be…Revelstoke, British Columbia and loving each moment of the experience. I just got back from a trip to Chicago, so I'm just fine with being HERE, actually! I went to Paris a couple of summers ago and had a marvelous time! I'd love to go back!! Anywhere the water is... that's where I want to be! I want to be in Disney World! I have had so much fun there, I even have a tattoo to commemorate my love of Disney World. Thank you so much for the giveaway! Glenrock, Wyoming...in my mom's kitchen while she works away on something delicious! I'll be at the kitchen table chatting away while listening to big band music on XM radio. I would like to be up in MI where we used to live, the cooler weather this time of year is so refreshing! I want to be on an Alaskan cruise...ahhh. That would be great! We went on one for our honeymoon a little over 4 years ago, and it was fabulous! Hope you have a great time! I would love to be in New England! Would anywhere but here but a correct response? Seriously, home with my husband and cat and not at work sounds like a great vacation for me right now! I would love to be where you are right now! Nothing like a view of the ocean to make me smile! I'd like to be somewhere warmer than here (ontario, Canada) seems to be cooling off WAY too fast! I want to be back in London exploring the corners that city has! At this moment, I would love to be in England on the coast! Somewhere warm, breezy, and overlooking the ocean! I wanna be in KL, Malaysia right now to visit my best friend! I'd like to be riding horses in Ireland! I'd love to be on the Amalfi Coast in Italy floating in the ocean! Great giveaway! THough I just came back from Spain a couple of days ago, I think I'd like to be in Greece right now. Hopefully I'll get to really go in the next year or two. Have fun on your trip! Right now, I'd give anything to be somewhere cool. Somewhere overlooking the sea, where waves crash into the rocks below. It's hot here in Arizona, with no relief in sight. I'd love to be anywhere with a delicious meal sitting in front of me. India, Japan, Dubai, you name it! I would love to be in Paris right now, glaring up at the big golden architecture and enjoying some french cuisine at a classic restaurant. Oh La La!!!!!!!! Norwich Vermont. At the King Arther mill. I'd like to be with my husband, best friend, and her husband, trying out kayaking on the Toccoa River. I would be so happy just in the mountains right now (without my darling wonderful busy get-into-everything kid). I'd love to be somewhere out East enjoying the fall colors. I would like to be with my husband visiting my nieces & friends in the big city, going to the beautiful parks & coffee shops there. I'd like to be back in California. Texas just isn't that nifty. Fun giveaway! Right now I would love to be right where I am...twinkle lights on in the backyard, warm enough to wear shorts and a tee, and melty chocolate chip brownies. I would love to be in Paris right now munching away at macarons. And drinking lots of wine. I would love to be....sleeping right now. But, such as it is, I must get my kiddos working on their school work. And since I know I wouldn't be sleeping even if I could, I guess I would rather be in Gatlinburg, TN. If you don't mind me asking where are you in my hot,sunny, and rainy state? Right now I would love to be in France, any part. I'm studying french and seeing as how I love to bake/cook that would be the perfect place for me right now. I'd like to be in Japan right now. I miss Japanese conveniences stores more than I should. lol! I'd love to be entered!! I would love to go to Italy. I have never been there before, but I followed Anna's trip through her blogging/pictures on Cookie Madness, and it looked incredible! My answer never changes - I would rather be in Viriginia with my family! I currently live in Denver, CO.
in a hammock, outside of a villa in southern italy. I'd love to be... at the amazing frozen yogurt place I'm going to later tonight to celebrate having done my reading for the week! But first that requires... reading. Sigh. I want to be in Kuala Lumpur with my mom! I'd much rather be on a golf course than sitting at a computer, spinning pivot tables and excel spreadsheets. I would love to be on a cruise ship going to anywhere. We are leaving on our 6th on October 10th. A short, one week cruise to New England/Canada. I would love to be in San Diego. I was born there and have been dying to go back. I would LOVE to be in Paris right now. I would love to be in Florida right now. DisneyWorld rocks. The Key-Lime pie looks amazing. COLORADO!!! Hiking, rafting, camping, picnicking, anything outside in Colorado. Thanks for the great give-away offer! I'd rather be HOME, in bed. I am sick. BLAH! I'd always, anytime, rather be in Ireland! I also LOVE King Arthur Flour - would love to splurge on some delicious vanilla! I'd like to HOME, instead of at work! I love your key lime pie recipie!! i would love to be in siena, italy right now! I'd love to be in India! I just know it would take a few years to learn all about the food and culture. Oh dear..I have 2 ideas about vacations......dream: Paris..ha and practically speaking Traverse city , 2 hours drive from where I live will work too :-). I love King Arthur flour.........I use on other. You have a great looking blog here. I would like to be in Canon Beach! It didn't take me long to decide where I'd like to be right now. I'd love to to be in Avalon New Jersey visiting my relatives and of course eating as much fresh seafood as I can. Weather wise I can't complain - it's in the 70s and sunny here in West Lafayette, IN. However, I am graduate student, and I would love to escape from that - anywhere would be better. The beach you're looking at seems pretty nice, but I also love a trip to a big city - Chicago's a fav, but I've never been to New York! I always dream of being on the upper shores of Lake Michigan. It may seem to be a summer treat, but, to me, it is soothing year round. I would like to be anywhere, as long as my hubby was with me! He is deployed right now! Thanks for stopping by honey & jam. You can read little bit more about me here. I'd love to hear from you.